In 1991 I wrote to Vince Tidwell, President, Mazda Club of America to tell him about my unbelievable experience with my 1990 Mazda Miata. My letter was printed on page 71 of the "Summer 1991" issue of MIATA MAGAZINE. The previous fall I lost control of my Miata and slid into the remains of a stone wall causing the Miata to roll over onto its roof. (Luckily the convertible top was up.) My son and I were in the car and, primarily due to the solid design of the vehicle, escaped unhurt. After the accident and all of the assorted police and emergency actions were over I enlisted the help of a few spectators to roll the car back onto its wheels. Miraculously it started and I was able to drive it home. As a practicing Design Engineer and Department Head at Eastman Kodak, I thought that Mazda might be interested so I send a detailed letter to Mr. Tidwell with the request that he forward a copy to the design area at Mazda. I never heard a word from Mazda but I did receive a complimentary copy of the "Summer 1991" issue of MIATA MAGAZINE that is in my hand right now. Well, my Miata turned 25 years old and I contacted a person at the New York State Dept. 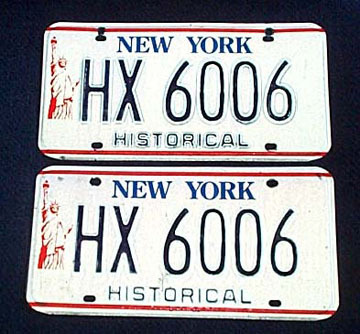 of Motor Vehicles to see if I could register it as a historic vehicle using New York State "HISTORIC VEHICLE" license plates that I have in my possession. He was agreeable but said I could not register until after 1 JAN 2016. He did say that he would hold my application if I provided all of the required documentation and a picture of the historic plates that I had. I did this and shortly after the first of January I received my Historic Vehicle Registration. 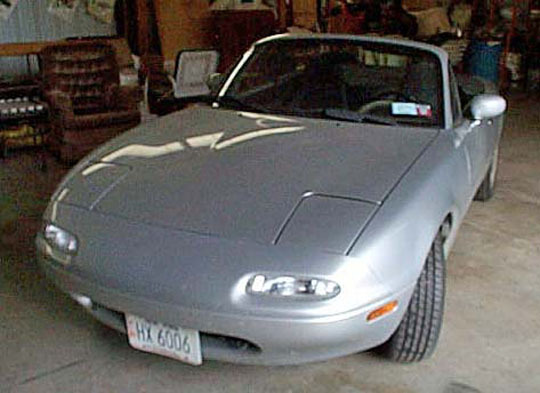 I now am driving an antique Mazda Miata!! Perhaps this is the first in New York state or perhaps first in the US !!! This January I did send a letter to Mazda North America but there was no response. My Miata is still a great little car. It has been remarkably reliable and still is a lot of fun to drive. I have to say that since the day that I rolled it over I have not had any other incident where I tested the structural safety of the vehicle but I do have lots of other "fun" stories, like the time that my wife and I were driving north, with the top down, from the southern tier of New York state when the skies "opened up with pouring rain. Holding 60 mph on back roads the wind kept the rain from coming in!!! But … we came to a town with a stop light. You can guess the rest! !